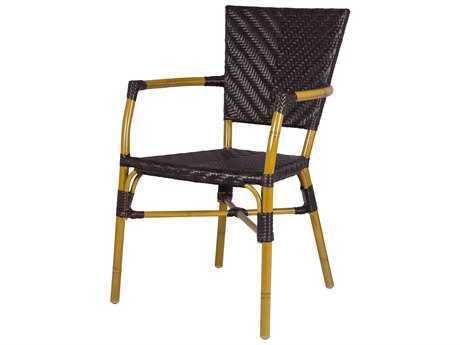 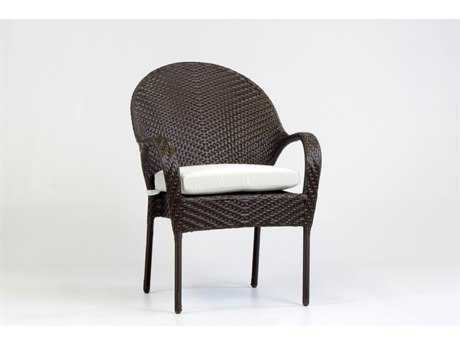 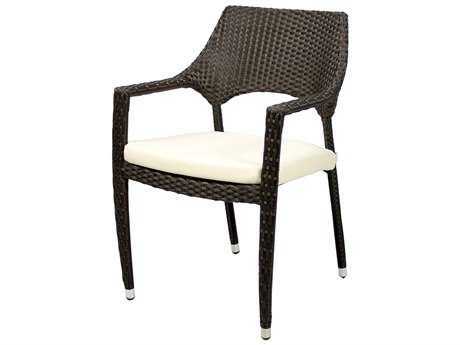 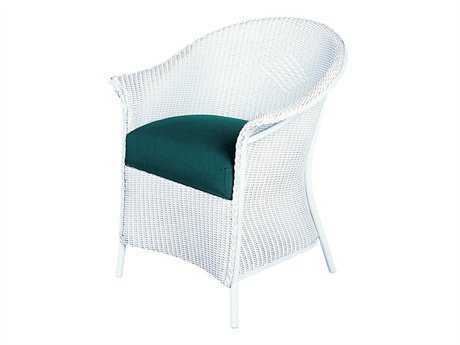 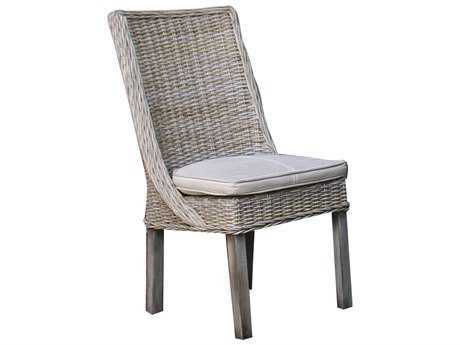 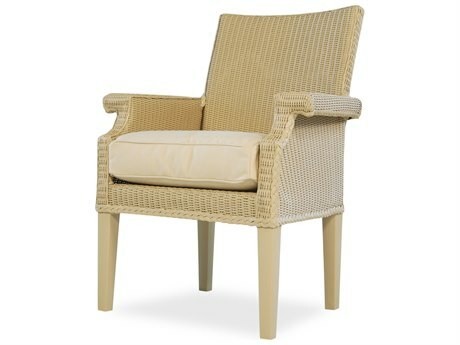 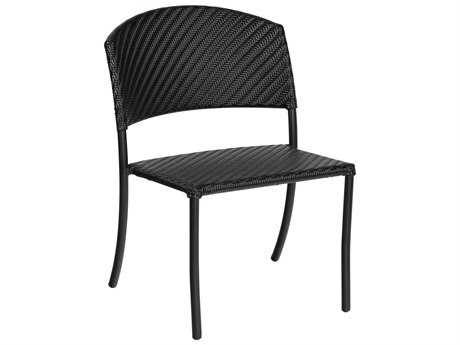 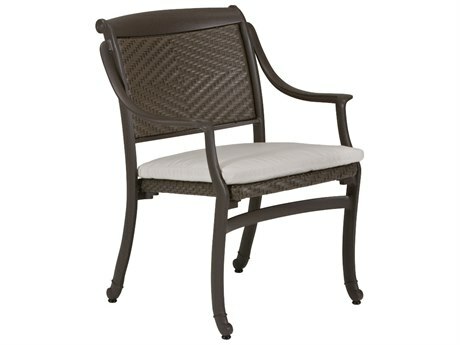 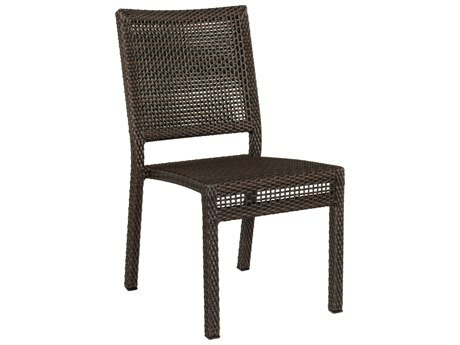 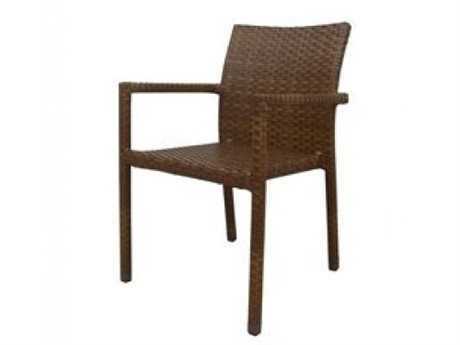 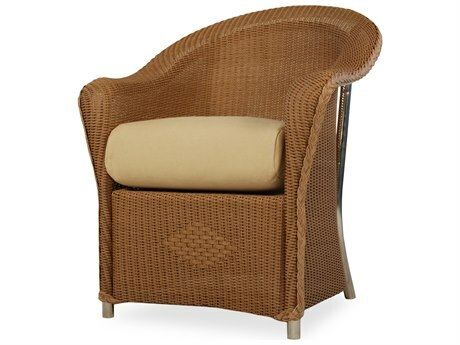 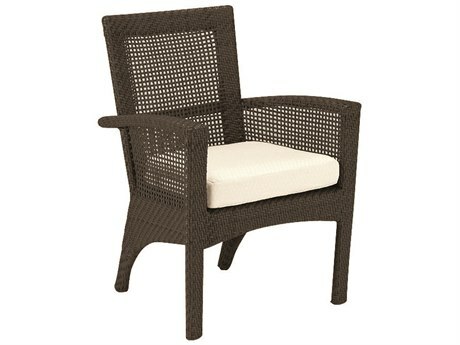 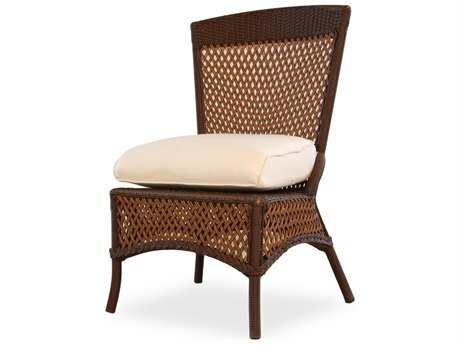 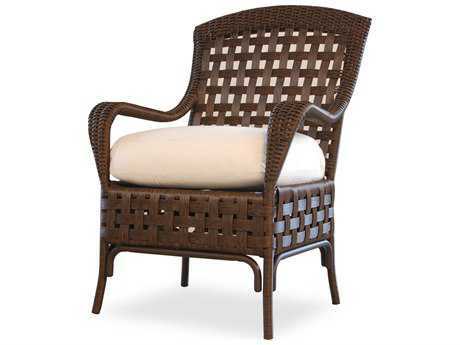 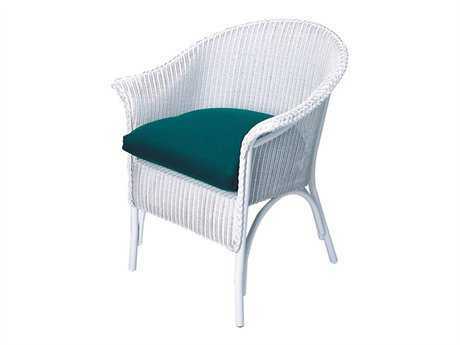 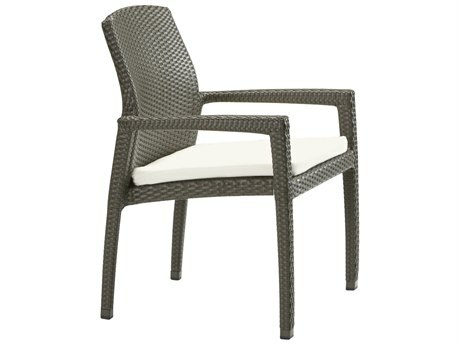 Outdoor wicker dining chairs are comfortable and sturdy patio furniture. 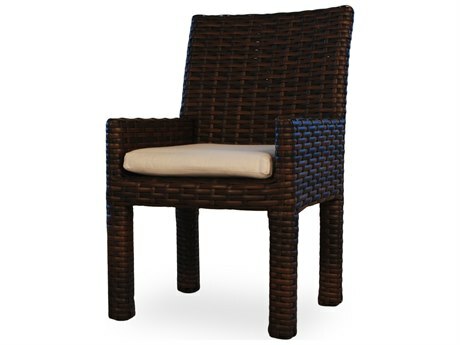 They are available in a variety of styles to fit your patio aesthetic including arm or side chairs, stackable chairs, swivel, glider, sling seats, and patio wicker dining chairs with cushions. 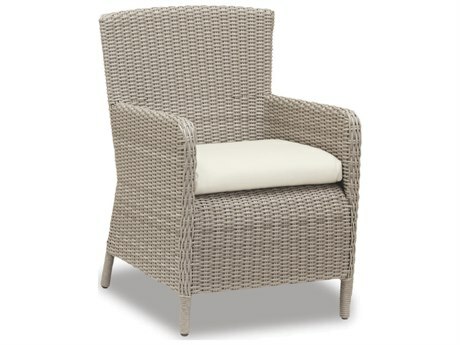 The shapes of outdoor wicker dining chairs available range from modern, sleek square seats to casual curved, deep-seated armchairs. 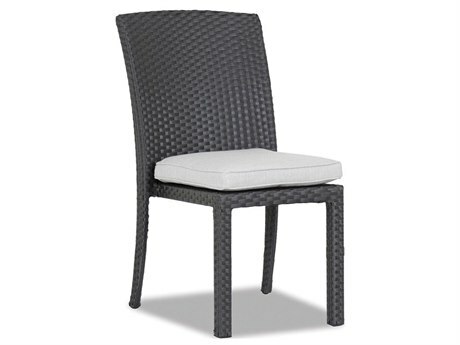 Other options for further customization are chairs with four legs, a round swivel-allowing base, and sleek bar bases connecting to chair arms, such as the Whitecraft All Weather Dining Arm Chair. 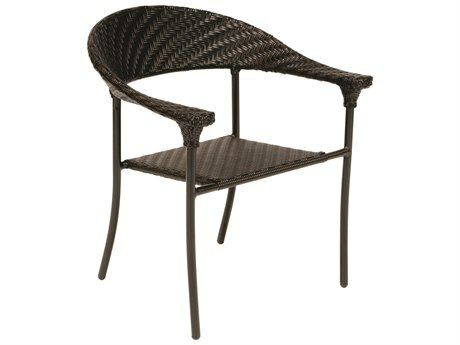 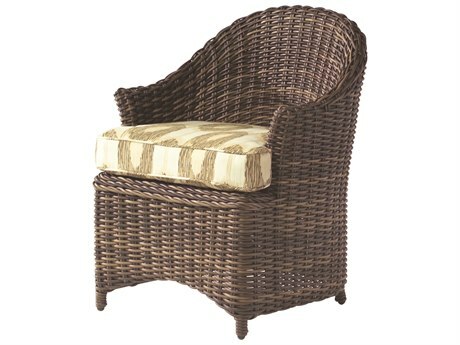 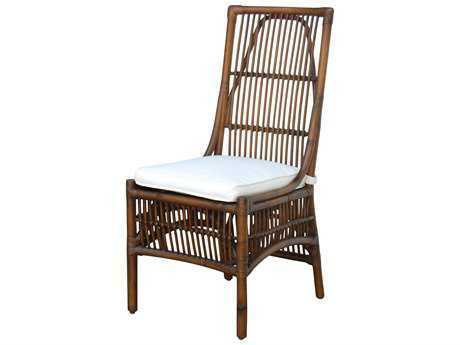 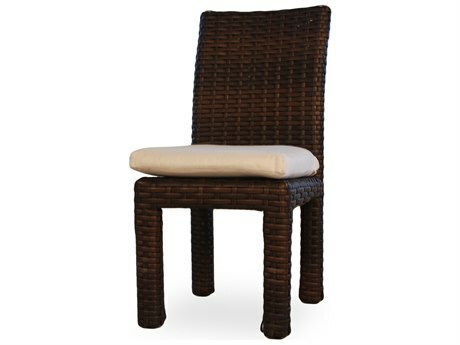 Wicker dining chairs can be found as full wicker and combination wicker seat with metal or wood base and arms as well. 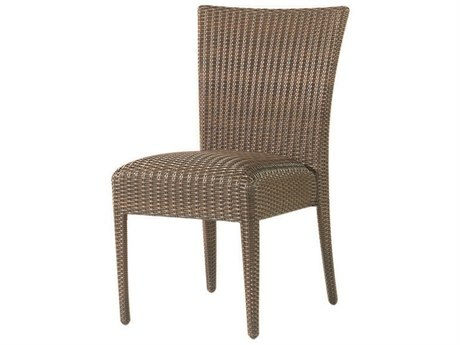 These chairs fit nicely around a wicker table, or you can mix and match and place these chairs with any dining table. 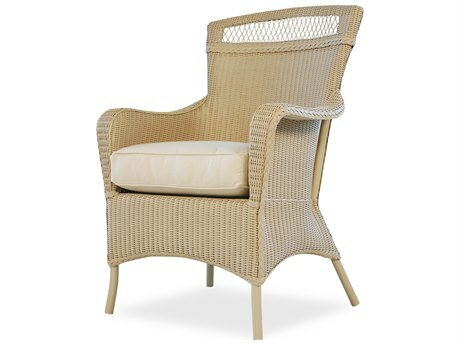 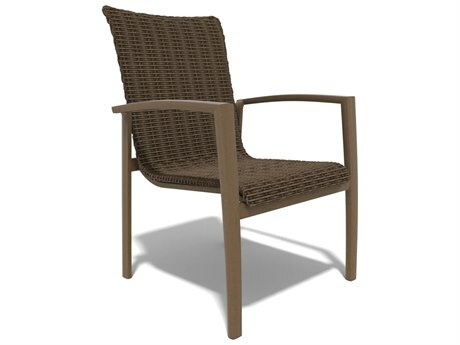 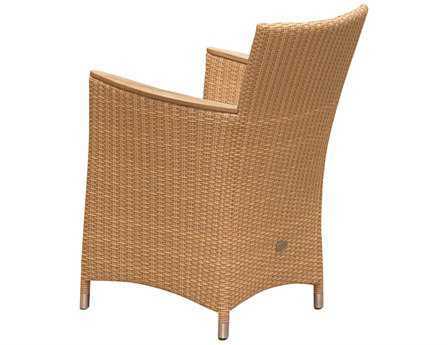 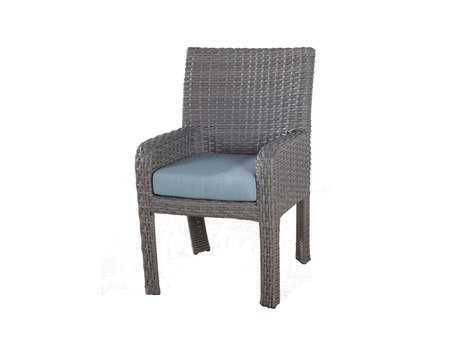 Outdoor wicker dining chairs have an aesthetic benefit from their woven wicker design. 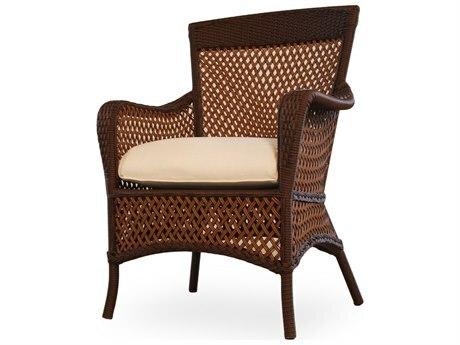 Additional patterns and designs can be woven into them seamlessly to create eye-catching furniture for your patio. 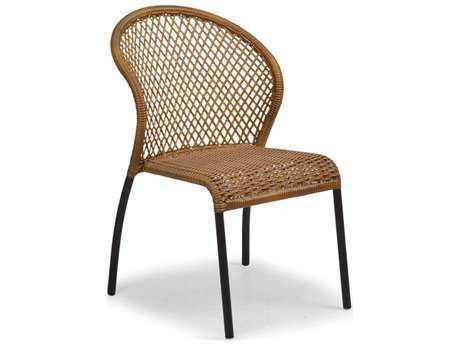 Because of the nature of wicker as a material, these dining chairs won’t absorb heat and cold as metal furniture would, so you can keep them out year-round and be sure they will still be just as comfortable to sit on. 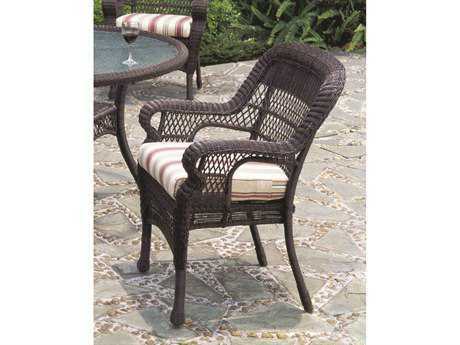 An added detachable cushion amps up the comfort possible with your outdoor wicker dining chair. 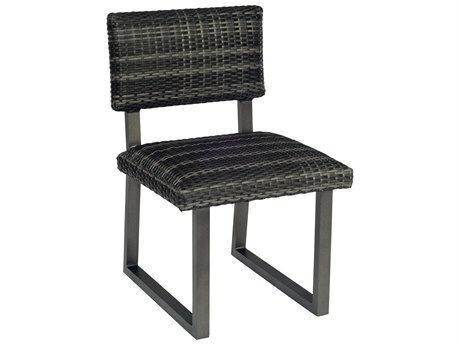 Stackable wicker dining chairs allow you to store them in small spaces until they are needed. 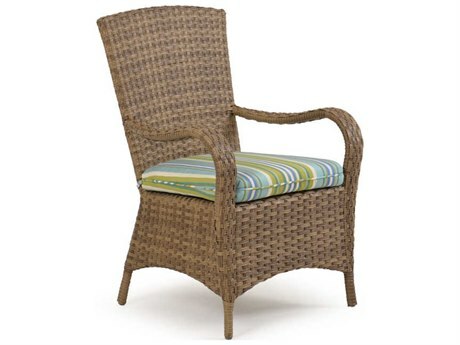 Weather-treated wicker does not fade from prolonged exposure to sunlight and is easy to clean with a quick wipe down or spray off, which makes them great choices for poolside dining as well as sunny paved patios. 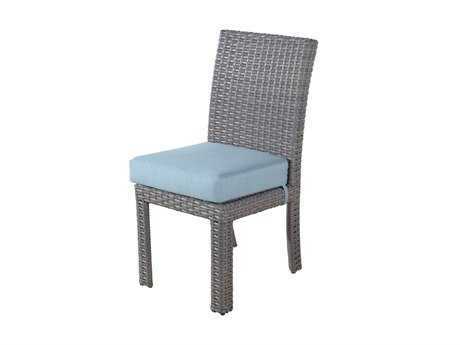 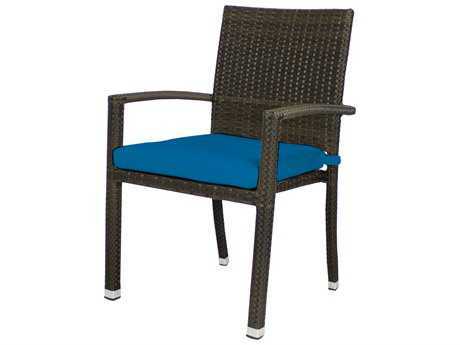 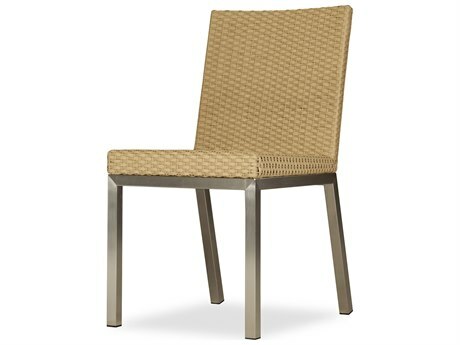 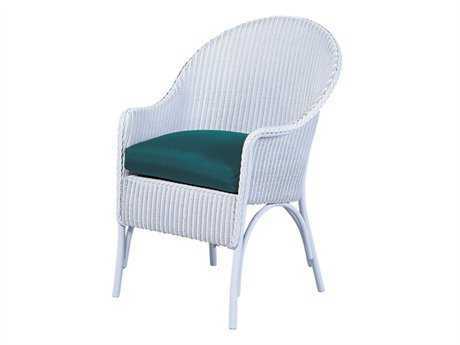 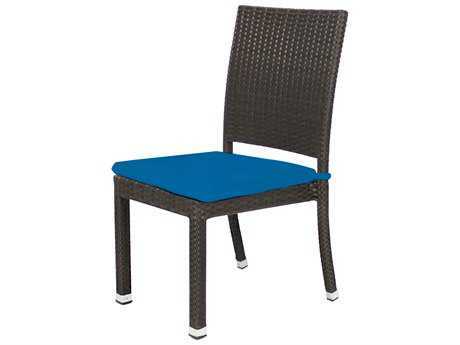 Patio wicker dining chairs come in a variety of colors and styles. 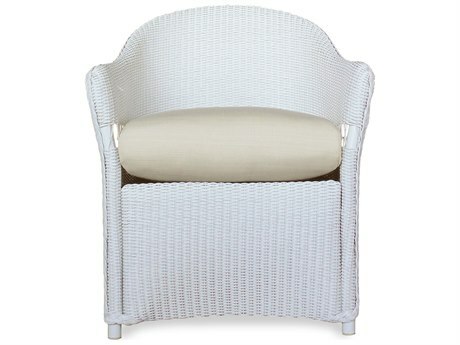 White or cream wicker chairs pair nicely with white or clear glass tables to create a casual, rustic patio. 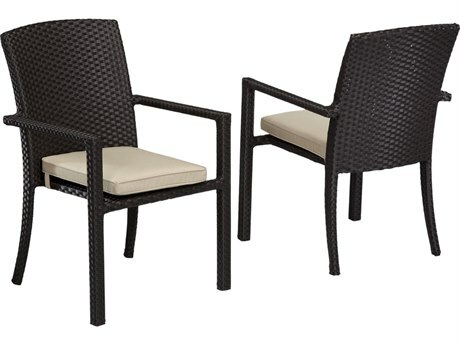 Ebony outdoor wicker dining chairs complete an elegant dining area, and seat cushions are available in a plethora of colors, patterns, and designs to add more of your personal touch to your patio. 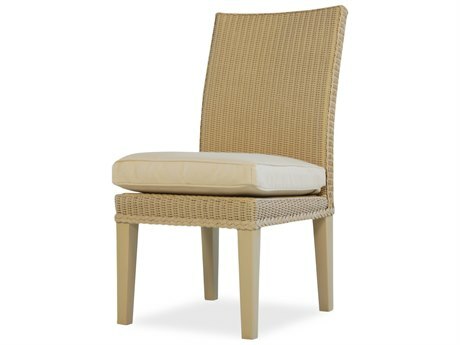 Combine armchairs with side chairs to surround your dining table and give options to your guests. 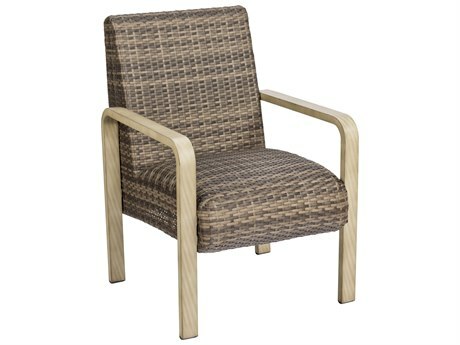 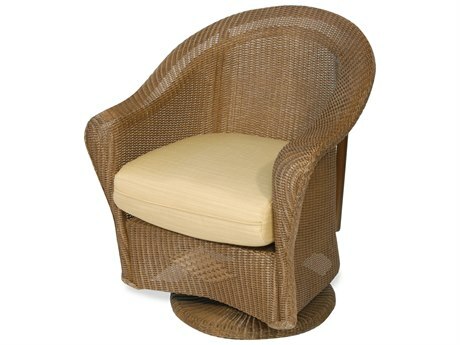 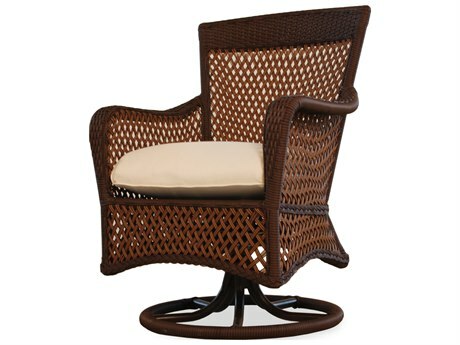 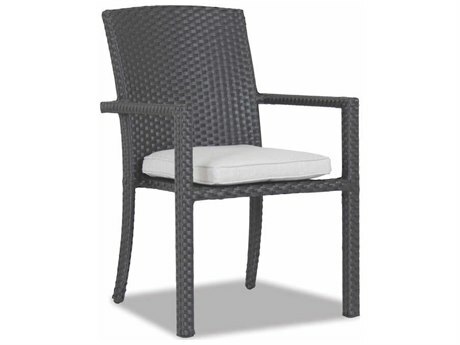 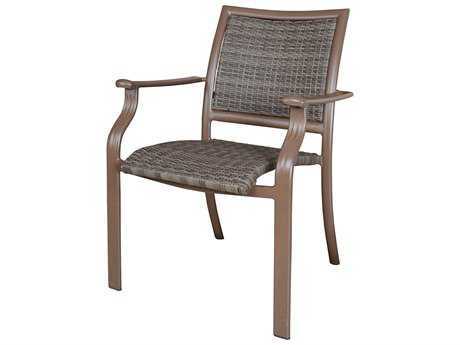 Patio wicker dining chairs come in various motion capabilities: stationary, glider, swivel, and swivel rocker. 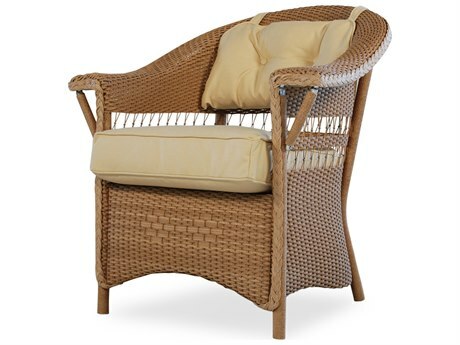 They are also available in residential and commercial quality, as well as fully wicker or a combination of wicker and metal or wicker and wood.